Everybody wants their audience to be able to read their content. But how do you know what’s readable? Luckily, there is a number of tools if you go online and in this little discussion we will consider the most popular ones. All the tools operate with the same algorithmic solutions which help to measure scores, using various text statistics (syllables and word count, sentence length, amount of multisyllable words, etc.). Such most used readability indicators as Flesch Kincaid Reading Ease and Grade Level, Gunning Fog Score, Coleman Liau Index, Automated Readability Index, and SMOG are scaled and readability is computed. The Readability Test Tool (http://www.webpagefx.com/tools/read-able/) allows to test any website readability by entering its web address; to scan any text by pasting it from any source; or to check your own webpage by using the “referrer” section (link directly from your page). The most used reading ease indicators are estimated and explanation to each scale is provided. Also, you can get text statistics here, such as number of sentences/words, average words per sentence, etc. Online-Utility.org (https://www.online-utility.org/). Calculates readability based on the best known readability parameters. It is intended primarily for English texts, but might work for some other languages as well. Displays basic text statistics, like number of characters/words/sentences, and average number of characters per word/syllables, per word/words, per sentence. Displays complicated sentences, providing suggestions to improve text readability. Also, the tool allows converting images into various formats; performs backlink analysis and helps to search websites in different categories. Readability Formulas (http://www.readabilityformulas.com/). Has a number of different tools, measures basic readability indices. There is the cut and paste feature, which allows to cut and paste the text that you’ve written, put it into this website, hit a button and the website itself will calculate readability. The tool estimates the approximate difficulty level of the document and helps you to decide if your content is too simple or too complex. Also, you can get word and graph statistics here. Readability Score (https://readability-score.com/). Calculates how readable your text or your website is. Evaluates your vocabulary, sentence structure; spots problem issues; indicates keyword density, speaking and reading time; provides text statistics (word and syllable counts), and makes sentiment analysis. Scales same readability indicators. In case you need to scan lots of content, there are special file processing tools available which make it possible to download and check the documents (bulk uploads). For premium users, there is an option of team management, when all users’ accounts can be managed and changes can be applied (accounts upgrades and downgrades, removal of old users, etc.) as requirements demand. Bearing in mind that readability is what makes content go viral, consider using the above-mentioned tools to ensure your paper is readable. Engage your audience better! If readability is not good, people will not read it. This is as simple as this. 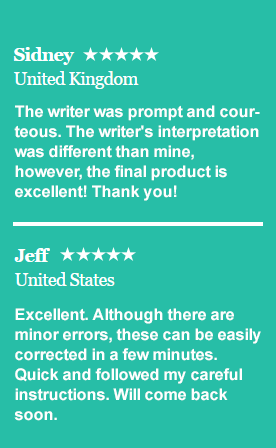 At EssayForMe.com we provide only quality content which passes the trickiest readability tests.